City Vision candidates for the Waitemata Local Board all back the goal of resilient and healthy communities and sustainable environment, with focused care for our environment by reducing pollution – water, air and land. We support and endorse a current survey being undertaken by Auckland Council in conjunction with Auckland University, Niwa and AUT aiming to monitor and reveal how traffic affects sound and air quality in the Queen St area. This will allow planners to focus on potential issues – right down to specific areas, times and even vehicle types. This data is important so that correct and considered planning can be made around potential issues, particularly as Auckland increases in size. It is all linked with making Auckland an environmentally safe, vibrant, healthy and liveable city offering the very highest level of quality of life. The survey has involved a team of students equipped with monitoring equipment walking around Queen St and several other streets, recording a range of pollutants linked to traffic. This data is correlated into a full inner-city street survey of the real environmental affect on people walking and working in these inner-city areas. 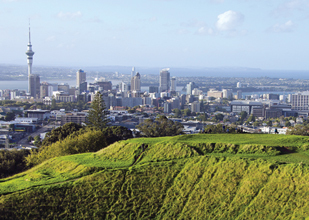 On average, everyone in the Auckland region breathes around 11,000 litres of air each day. The survey also involves a network of monitors measuring ultrafine particles. Waitemata local board central Auckland areas can be proud that they rarely exceed national emission standards in air pollution, and we want to plan effectively keep it that way. The City Vision, Waitemata local board line-up includes Russell Hoban a specialist in the field of environmental health, pollution management, air monitoring and noise monitoring who will be able to work along with the CBD advisory board to ensure that the preliminary findings due in November, are used to their full advantage in future planning. This is a helpful link for further background on the subject.